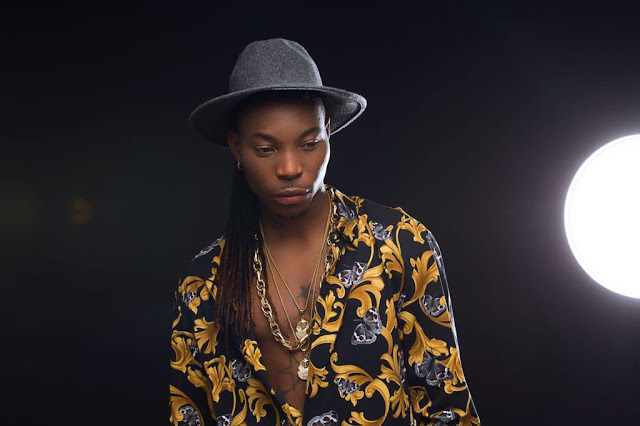 Joshua Iniyezo, popularly known as Solidstar is an R & B, dancehall, afro-pop singer, producer, and songwriter. The artiste, who hails from Isoko in Delta state, is currently signed to Achievers Entertainment, and he has had music collaborations with top Nigerian artistes like 2baba, Timaya, Flavour and so on. Star Tracker, recently had a chat with him and he opened up on his journey so far in music and other information concerning his career. How is your journey into music so far? I wouldn’t say it is that easy because at the beginning. I started all alone and I was working and saving money to record. So, it wasn’t that easy. Thank God for Achievers Entertainment, they came in and saw my talent and they signed me. The first song I dropped under Achievers was “One in a million” featuring 2baba. Since then, we have been pushing forward. After that song, the fame was just there but then, money wasn’t coming in. Sometime ago, you did a theme song for the Super Eagles’ World Cup Campaign. How did it feel being recognised by your country? I thought to myself that this means I have been working really hard. That really gingered me and even when I record, I put in extra work because I know the competition out there is really tight. So, I take my time when doing any song. Solidstar What gives you inspiration as an artiste? I get my inspiration from women; I like being around them but they are just my friends. I love to hear what they are saying about themselves. So, I get inspired by the words, and I just put one or two of their words into my lyrics and come out with whatever I see around me. How do you manage and handle your female fans? I have to learn how to control my female fans because I don’t like scandals. So, whenever I come across them, I treat them good. I make them feel at home. As I said, I always love being around women. I love ladies. Which artiste you have not worked with that you hope to do something with? What’s been happening to you lately? A lot of things have been going on with me lately. I have done a lot of shows and tours inside and outside Nigeria. How do you intend to stay active in the game? I am this kind of artiste that would record songs every day, if I had the opportunity. I record up to five songs in a week. I do work hard and that is why when I drop a song, I don’t let the standard drop. I always try to get better. I will be off to South Africa to shoot videos for three songs because I have shot all my videos in Nigeria and I am also looking at international collaborations in the future.